Just a flow of thoughts after watching The Hangover. Did you like the movie, guys? Hangover isn’t the very first and surely not the last movie dedicated to the wedding-is-a-disaster theme. It’s hard to count all the movies telling about crazy and wild bachelor parties in Las Vegas with some nasty consequences but still happy ever-after ends. It’s hard but I’ll try to give the top 5 of my personal wedding-as-a-disaster movie list. This 1984 movie with young and slim Tom Hanks was one of the first movies about crazy bachelor parties. It was really crazy, 1984 crazy, I’d say. The reason for a wedding disaster? Too much alcohol and Vegas. A film about stupid family names, singers with no musical ear, a cute old lady who makes tasty chops, and real love, of course. Adam Sandler and Drew Barrymore make a perfect movie couple, but Adam’s haircut is so not cool. One of Cameron Diaz’ best roles ever (and the karaoke episode is still one of my favorites movie moments). But generally, it’s such a fairy tale. No normal man could ever choose Cameron if he could choose Julia Roberts. Correct me, if I’m wrong. The reason for a wedding disaster? Well, Julia Roberts and her nasty sabotaging plan. 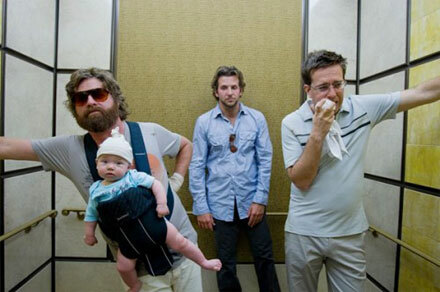 Best friends head to Vegas to have the wildest weekend of their life…. Waking up in Vegas is a dangerous and totally unpredictable thing as you can find a tiger in your bathroom, a baby by the door, and no groom around. The reason for a wedding disaster? Well, Vegas. It’s a great example to prove there’s no friendship between girls, at least when it comes to their big day. 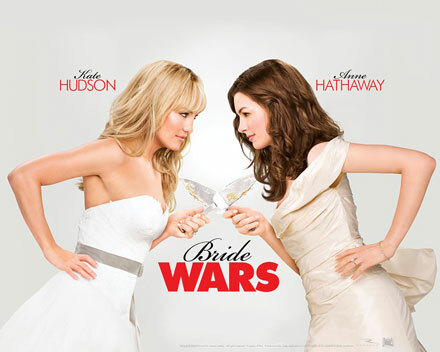 Two friends turn into wicked enemies to have the wedding of their dream. But you know what? Things don’t always go your way. The reason for a wedding disaster? The Plaza Hotel and stubbornness.